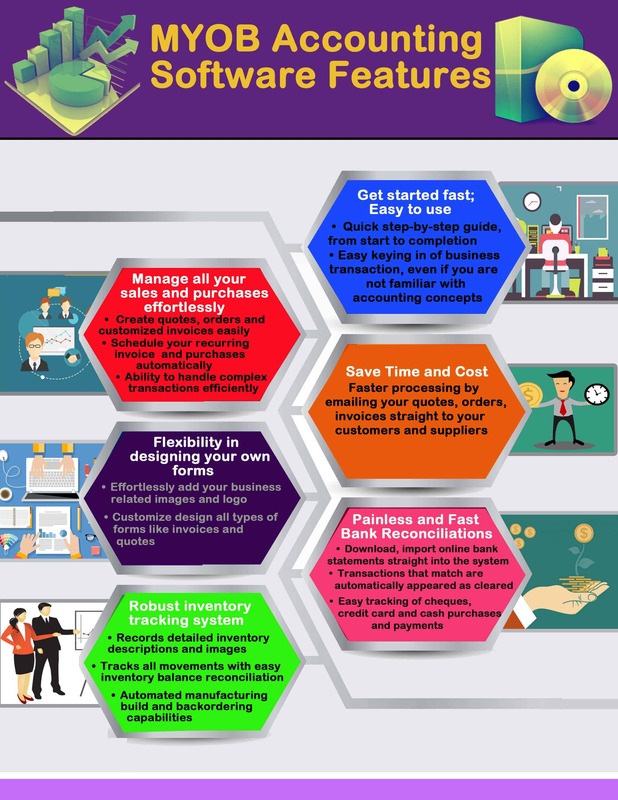 Why You Should Choose MYOB as Your Singapore Accounting Software? Easy Setup Assistant guides you step by step throughout the process accordinng to your industry and business needs, from start to completion. Intuitive Command Centre gives you quick navigation to your accounts, banking, sales and contacts. Smart Account Selection allows you to start keying in the business transactions, even if you are not familiar with the accounting concepts, jargons and principles. Quick step-by-step guide is just a couple of clicks away from every window. Flexible sales and purchase functions allow you to create quotes, orders and invoices easily from the various customizable invoice layouts available. Free up time from generating recurring invoices and purchases, as the system automatically allows you to schedule your recurring invoice and purchases. Handle complex transactions including deposits, discounts, credits and adjustment notes. Customize design your own quotes, invoices, statements and other forms that you use in your business. Effortlessly add color, images, logos, background images and other design elements to create forms that are consistent with your business image. Analyse sales by salesperson, track where sales are coming from, and identify customers who owe money, stay on top of outstanding invoices and more.